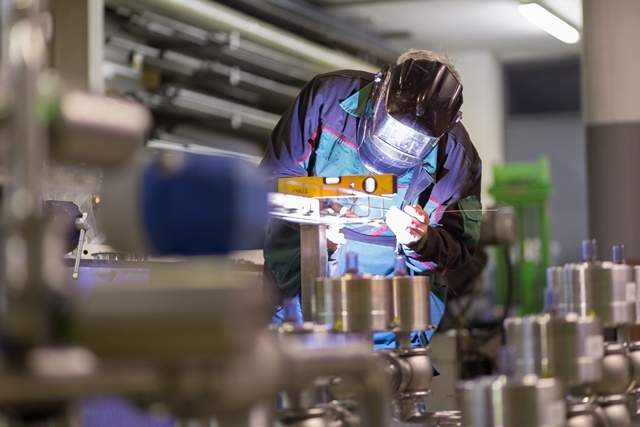 Britain’s manufacturers are calling for the current health & safety landscape to be maintained when the UK leaves the European Union, with existing worker production and legislative requirements continuing to be transferred into UK law to avoid cost and disruption to business. The call is made in a wide-ranging report into the UK’s health & safety landscape published by EEF, the manufacturers’ organisation and leading Health & Safety experts Arco entitled ‘Making Health & Safety work for UK Business – manufacturers’ concerns in a post Brexit World’. In particular, the report says it is vital that the British Standards Institution (BSI) continues to play a leading role in European standards setting so that UK companies can continue to make products set within the European standards environment. This is essential to ensure UK companies can continue to trade without the risk of technical barriers emerging and to avoid the unnecessary development of multiple standards. Terry Woolmer, Head of Health & Safety policy at EEF, said: “There is a clear message from manufacturers that there should be no rapid change post Brexit to the UK’s health & safety regulatory regime. The Government’s current approach of grandfathering existing EU worker protection and product safety standards into UK law for the foreseeable future is the right one. “This is essential to avoid costly disruption, the emergence of any technical barriers and the development of unnecessary multiple standards which might damage the prospects of some companies being able to operate seamlessly when the UK leaves the EU. It is also vital that BSI continues to play a leading role in setting the European standards environment, a position where the UK has substantial expertise. Lee Pickering, Head of Heavy Manufacturing at Arco, said: “This report clearly identifies the concerns and beliefs of leaders within the sector, giving policymakers a vital insight into how manufacturing bosses believe Brexit should be rolled out. “We agree that that a rapid change in regulation post Brexit isn’t the correct approach as it would cause disruption but we also believe Brexit affords us an opportunity to review and improve health & safety regulations within the UK. According to the survey 42% of companies want no change to the current regulatory regime, whilst a further 55% want no immediate change, but would like a review of health & safety regulations once the UK has left the EU. This might include more recent directives which are not risk based and where the level of health & safety benefits are more questionable. Just 3% of companies wanted to revert to the pre-EU Health & Safety at Work Act 1974. A desire for a review of the existing landscape was significantly more pronounced amongst medium and larger companies (66.7% and 55.2% respectively) that may have the resources to deal with any change and see Brexit as an opportunity to simplify the system, whilst smaller companies might prefer to deal with an existing scenario rather than face any disruption. As well as examining the European health & safety environment, the report takes a wide-ranging look at the UK domestic environment for health & safety which has seen significant regulatory change. This includes the first impact of the changes to Health & Safety fines introduced in 2016. In the manufacturing sector, fines doubled between 2015/16 to 2016/17 from £12.5m to £25.1m, resulting in an average fine of just under £160k. Despite this large increase, two fifths of companies have taken no action to review their procedures whilst a third of companies had not seen any increase in involvement of senior management in health & safety since 2012, bucking a long term trend of improvement. According to EEF, the fact that substantial changes in sentencing guidelines and increased fines have not altered company behaviour shows that they are not changing management culture towards health & safety and are merely a blunt tool revenue raising exercise for HM Treasury. In response, EEF believes that the revenue raised from fines should be ring-fenced and used more proactively to promote health & safety, whilst courts should have stronger powers to issue remedial orders with the aim of bringing about lasting improvements to health & safety management systems and practices. The survey of 144 companies was conducted in Spring 2018.